Our promise is that we’ll do our best always to leave you utterly delighted. So try us! We source almost all our products from the finest producers of their kind in Scotland. The rest is mostly from Ireland, England, or Wales. We have a few carefully selected and clearly labelled value ranges from overseas. But for our traditional goods we never supply the poorly copied imports that most 'heritage' stores sell. From Scotweb, it's Scottish! We provide our customers with an expected dispatch period for every product. 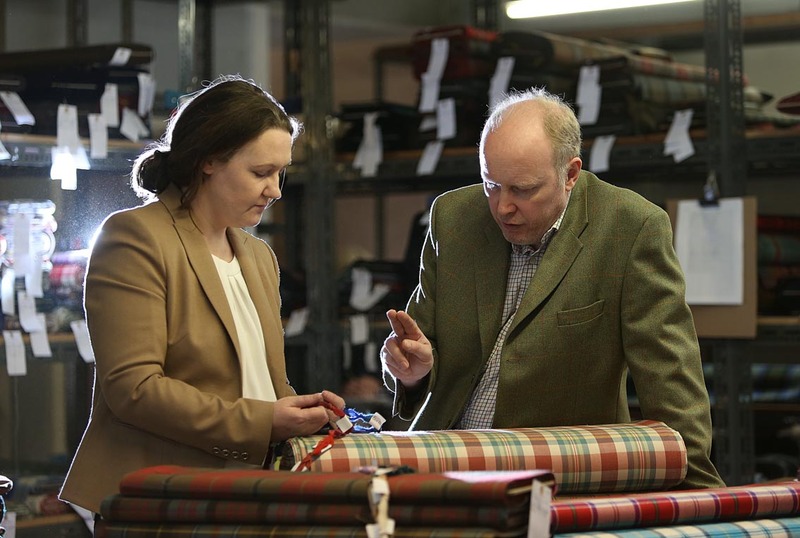 "Any product in any tartan"
And our exclusive technical systems, developed by our own expert team, let us manage complex production demands, even for rush orders for special occasions. We do all this both reliably and affordably, as a service no competitor can match. Of course some tartans (such as corporate designs) may be copyright, so in these cases we'd have to suggest a similar alternative. And custom weaving needs a mimimum production volume, so one pair of cufflinks in your own design could be quite expensive - but we can do it if you want it! Our goods range from High Street quality to Premium quality, with every item selected by us personally. Even our 'Essential' value range is specified to higher standards than most high street vendors standard ranges. And if it's described as Luxury product, it will typically be of the very finest specifications available anywhere in the world, often in high end boutiques with designer labels at up to 5-10 times our price. We try to ensure that you enjoy exemplary service, aiming to under-promise but over-deliver. Uniquely in our trade, our customer service team members receive a month's full-time induction training in our products and traditions, with regular in-service training thereafter, to ensure we all give genuinely informed advice. And we treat every customer as we like to be treated ourselves… with individual attention, as real people! We’re fanatical about privacy, and will never pass on your details to anyone! And if you entrust us with your credit card details, you can be sure it’s secure!